After confined in the hotel for 1 whole day without allowed to come out, we were let loose the next day. My tour guide came to the hotel and pick us up and I tell him, no hotel food, no restaurant food (unless famous) and I want to taste what he normally had for lunch. 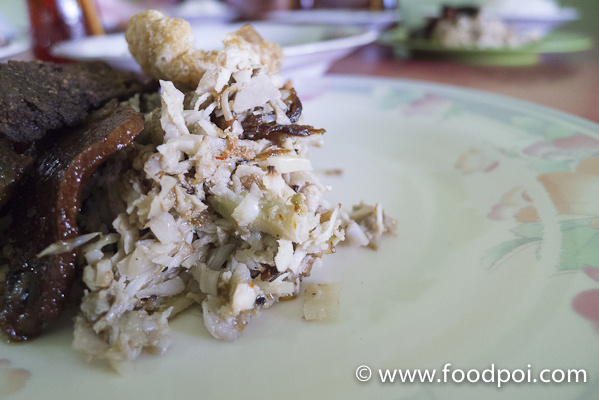 The first one we had is the Nasi Luk Luk located at Mengwi, Jalan Raya Kapal. 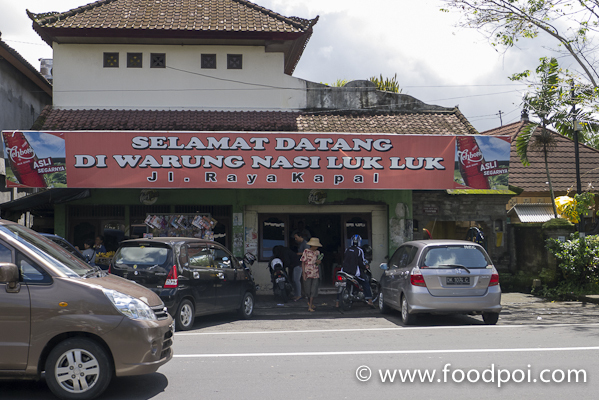 You won’t miss this place if you are heading to Taman Ayun or Tanah Lot. The restaurant is located facing the main road and the traffic here are busy all the time. The restaurant has been open for quite sometime base on the shop condition. The shop serve only 2 choice of foods. 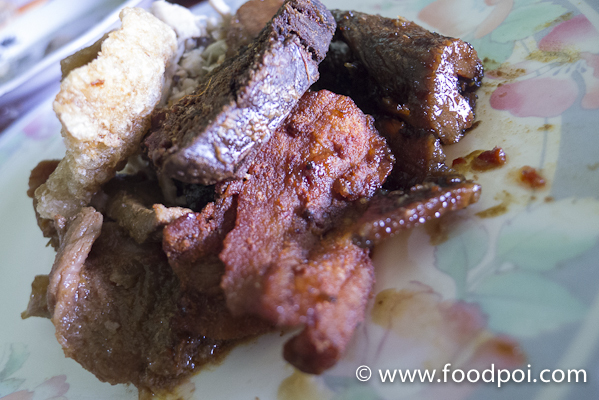 Either you order the Nasi Luk Luk Pork Or Beef. Nothing else. 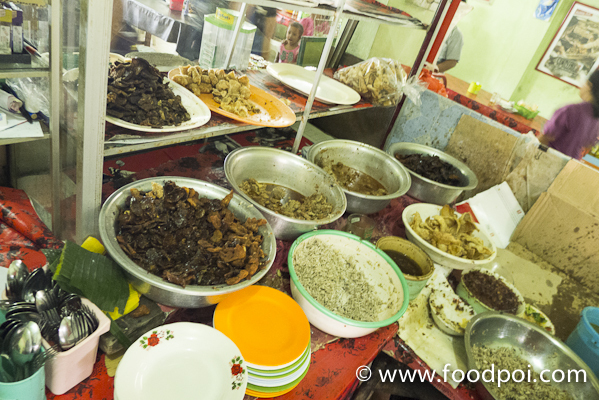 On the food preparation table all the ingredients like dendeng babi, lawar (Jack fruit salad), babi kecap manis, crispy fried pig skin, fried pig liver and a few more. 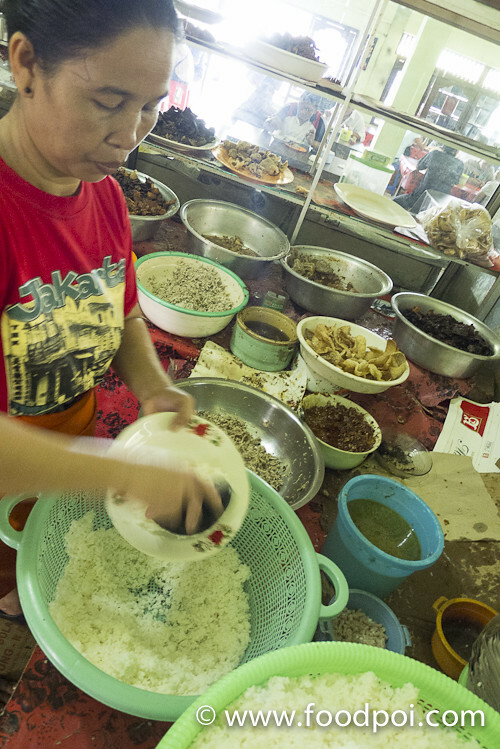 First rice are cooled slightly and then while it is still warm, everything is mixed under the same plate. This is how it looks like after mixing everything together. The taste were pretty nice with everything mixed under a plate. 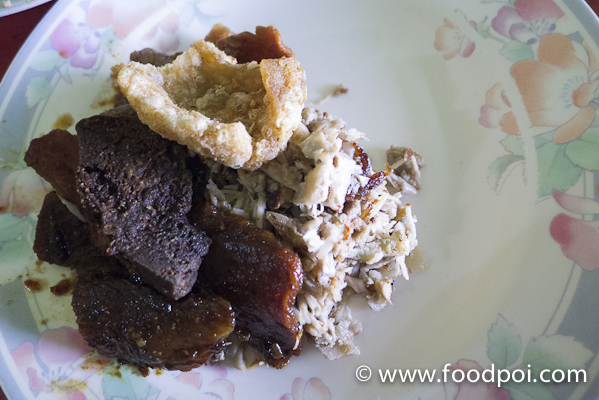 Careful with the sambal though. It is fiery hot! Smoking …. I love it! Most of the dishes were given in a bite size portion and this is how the locals eat. 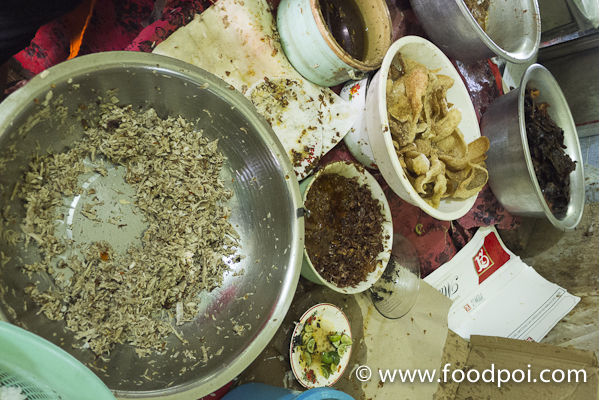 Unlike our local style here lots of wastage when you see people eat mixed rice. 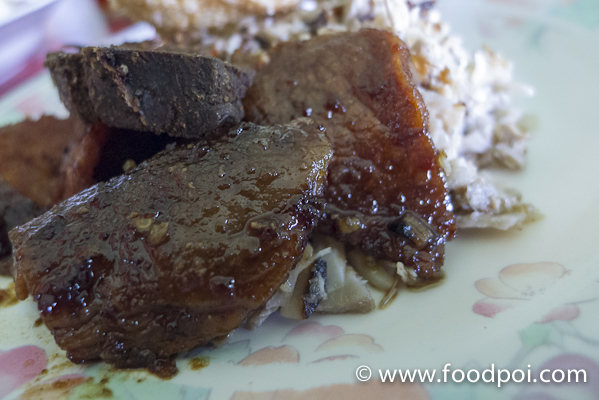 Bak Kua like babi kecap manis and on top of it is the dendeng pig liver. Crispy fried pork strips. 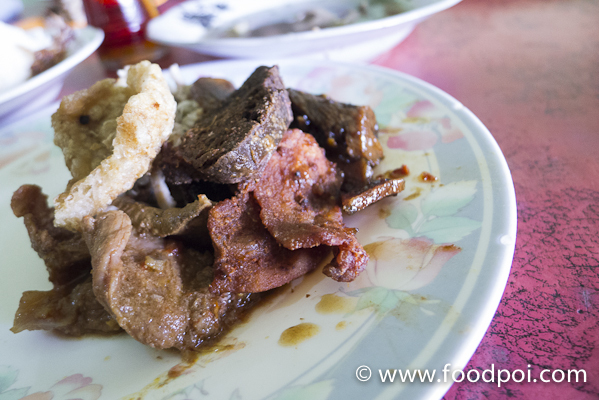 Taste like bacon but balinese style. 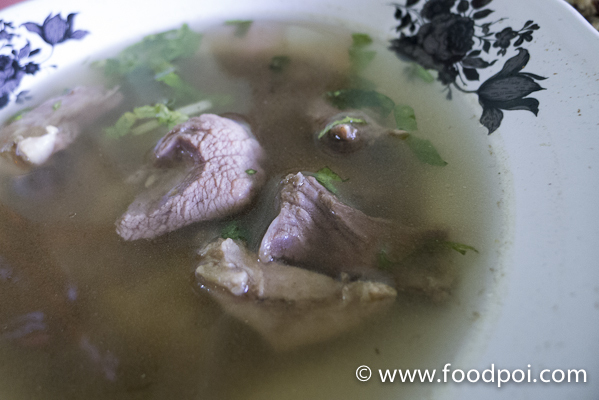 Pork soup. This soup may look clear and simple. I tell you, it is one of the best pork soup I had cook by a non Chinese. It taste like bakso soup but some how is more subtle in taste and very easy to drink even for us first timers. No wonder they are so famous. 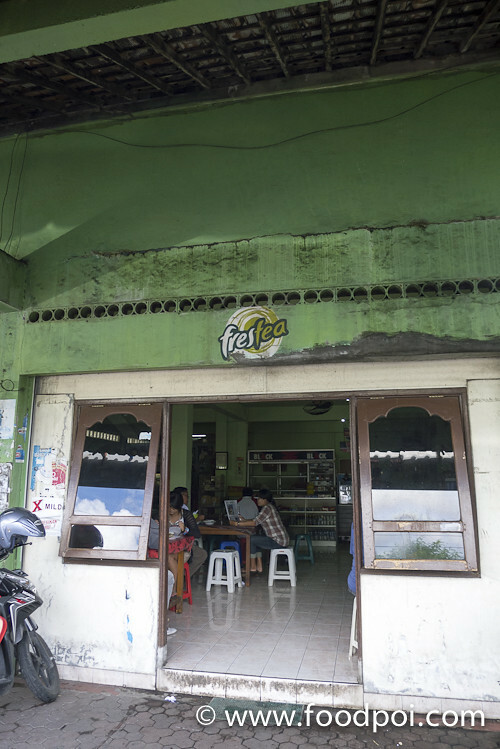 Wash down with Sosro Tea ….. 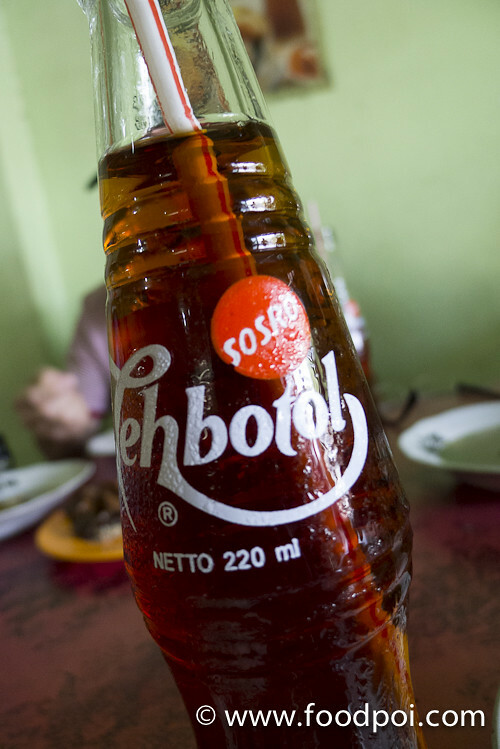 The drink that pawns Coca Cola in Indonesia. 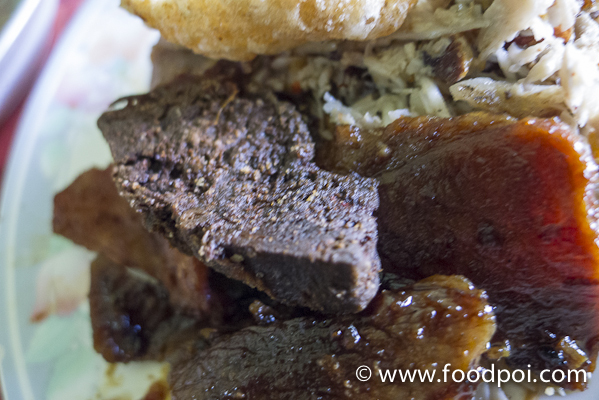 A lot may already know that sometimes, good or even better food can be found at less expensive food places.